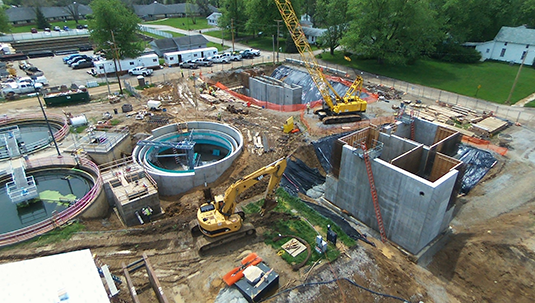 Reynolds is among the largest providers of heavy civil construction services for the wastewater treatment plant construction industry. 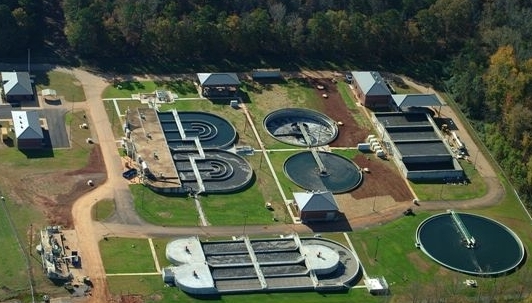 Reynolds is one of the nation’s largest wastewater treatment plant contractors with municipal and industrial wastewater treatment contracts totaling more than $600 million over the past 10 years involving new facility construction, expansions and modifications. 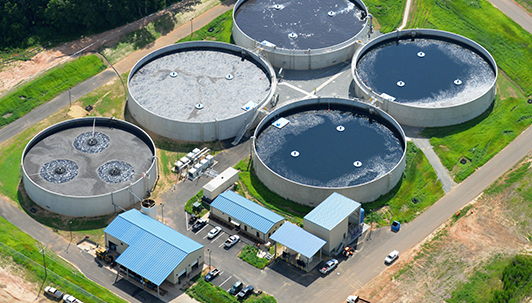 Reynolds can self-perform up to approximately 85% of the work in a typical treatment plant if required to meet schedule or cost constraints. Our staff is experienced at finding unique solutions to deep excavations beside existing structures, dewatering, and temporary chemical feed systems. We understand how to expand an existing plant while keeping the existing process running in permit compliance. Our experience includes installation of the latest process technologies including MBR’s. In any delivery mode, Design-Bid-Build (DBB), Design-Build (DB), Construction Management at Risk (CMAR), our staff partner with your operations personnel to understand the constraints and evolve a cost-effective work plan. Water is vital to virtually every industry, making it crucial that water systems are kept running efficiently and cost-effectively. 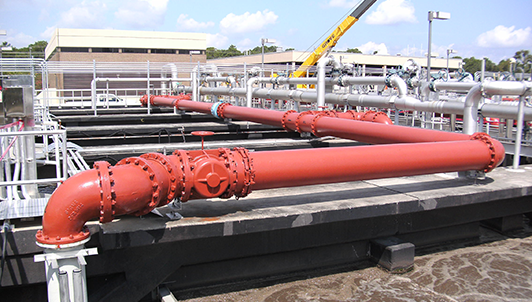 Armed with expertise and industry leading technologies, Reynolds has resolved water problems and installed many industrial treatment and cooling systems nationwide, delivering on our commitment as a leader in water supply and treatment. Reynolds is well experienced in the construction of industrial plants using the latest process technologies including RO Membrane, Nanofiltration, UV and Ozone Disinfection, regeneration services and air stripper re-packing to provide fully sustainable systems. We construct industrial systems under any contract delivery method including lump sum bid, Design-Build and its many hybrids, and guaranteed maximum with shared savings.